The new project will showcase some of Scotland’s wonderful wildlife via their riverside cameras. 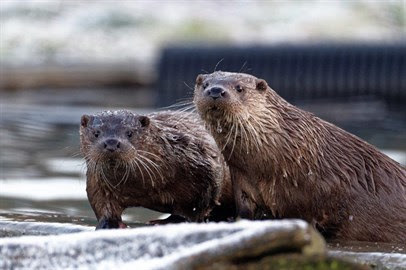 The Scottish Invasive Species Initiative (SISI) has this week launched its new monthly Wildlife Watcher feature, which will showcase some of the wonderful wildlife seen around Scotland’s rivers and burns. 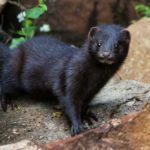 The project has been using wildlife cameras at riverside locations to help detect the presence of the invasive non-native American mink. But these cameras have also been capturing a range of other, often secretive, native animals as they go about their business. SISI project manager, Callum Sinclair said: ‘We want to celebrate Scotland’s stunning freshwater wildlife and to raise awareness of the special nature of these river habitats and the importance of conserving them. Many of us may never be lucky enough to see some of the more secretive wildlife that visits our rivers, so we wanted to share these videos for all to watch and enjoy. ‘Everyone can follow the Wildlife Watcher, which will appear every month on our website and social media channels. 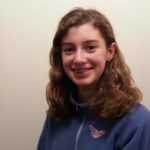 Vicky Hilton, SISI volunteer and communications officer, said: ‘We’ve been gathering a number of brilliant videos of some of our most loved and beautiful animals, so it was a difficult choice as to which animal clip to use to launch our Wildlife Watcher feature. 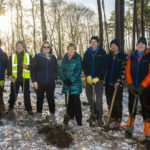 SISI focuses on working with communities and volunteers to remove and control invasive non-native plant species and American mink from the countryside. Invasive non-native species can impact directly on native wildlife and can also significantly impact habitats such as river corridors, where the river enables their rapid spread. Through the Wildlife Watcher feature at www.invasivespecies.scot/wildlife-watcher the project will help people better understand and enjoy Scotland’s amazing river wildlife. Anyone interested in finding out more about SISI or volunteering with the project can contact the team by emailing sisi@nature.scot, visit www.invasivespecies.scot or follow on social media.